Belgian King Albert I recieve Order of st. George 3rd class too . We can to see this Order in the Museum ? Collier de l'ordre de sainte-Andr? Aug 1914, t?l?gramme du Tzar Nicolas II avertissant le Roi de ce que lui ?tait attribu? cet ordre "qui n'est d?cern? qu'aux braves"
King recieve Order 4th and 3rd class ! ( Фонд 970. Опись 3 . Дело 1940 . Листы 11-12 ) ! Somebody have this book ? n?6, f?vrier 1990, pp 57-59. It's not a book, but an article in a magazine. The article is very general in nature and does not give any indications to names and numbers of foreign soldiers, who were awarded St George crosses or medals. 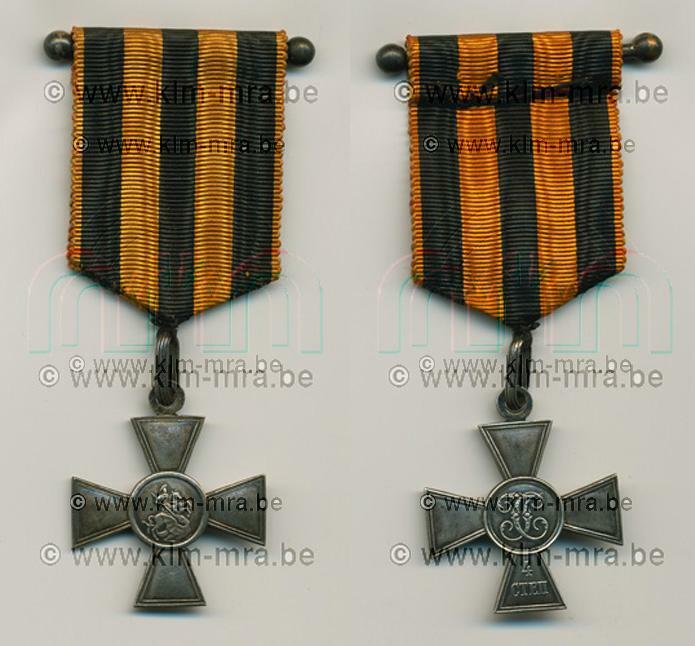 Except for the mention that the ACM received 104 crosses and medals on september 4, 1916 in Izerna. Trying to learn something here. Am I correct in assuming that the Croix St-George also should be numbered and by that number you could trace down the owner? Yes, they are nummbered and theoretically they can be linked to one person. 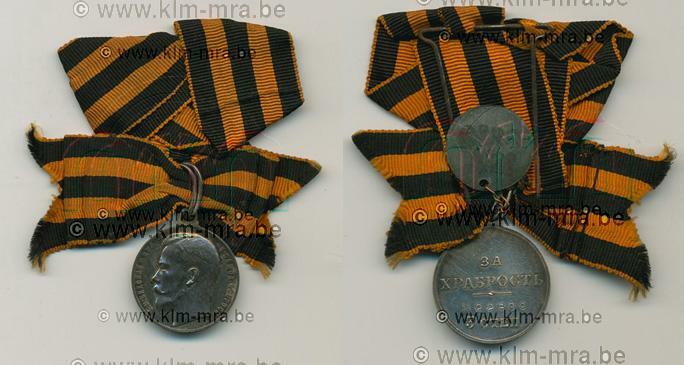 In practice this might be hard, seeing that apparantly the archives in russia for the 3rd class are not complete, and because for exemple in Belgium, the government was not used to numbered decorations, and just handed the lot the Tzar gave them without bothering with the numbers. in the "Golden book of the belgian people", it is mentionned that King albert received the 4th class of the order, Queen Elisabeth got a 1st class St Georges Medal and Prince Leopold got a St Georges Cross 4th class. This book gives the awards for august 1914 to may 1915. This man must have been impressive in full dress with all his medals!!! How did it end for him at last?? A great carreer or back to normal at last?? Does anyone have a picture of that mysterious decoration?? Thanks... 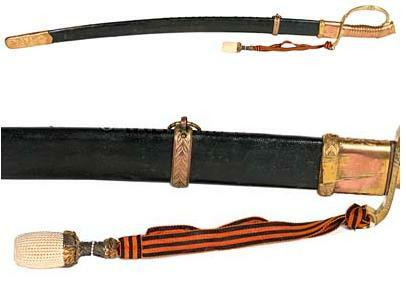 I see that the ribbon of the St George order hangs on the sword..
Is this a higher or lower or what ever decoration?? For which criteria was this sword awarded?? so.. higher esteem than st george cross but lower than the order, I presume? Certain some more decorations for WW2. 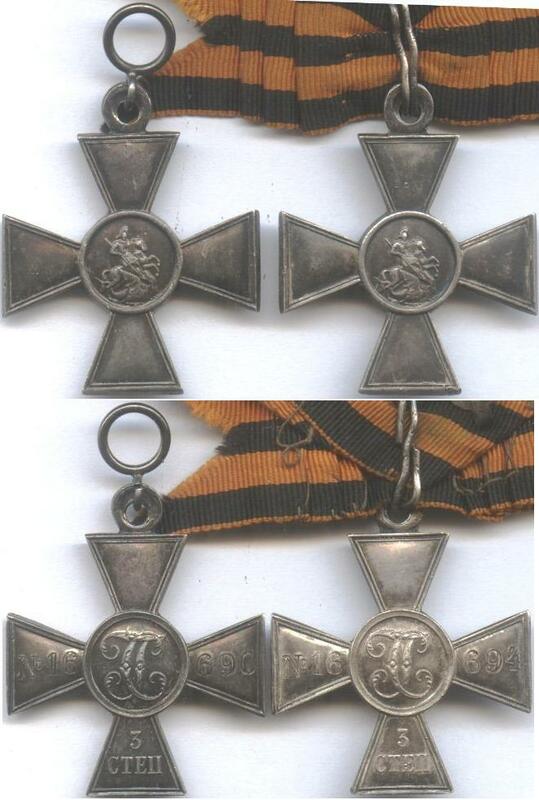 But also some officers-crosses with swords, due to surviving WW2. WW2 Commemorative cross with Red Crosses. Making an inventory always is a terrible job. In this case I think that it just doesn't have any priority. It is remarkeble that Jan has access to this lot of paper yet. In the Netherlands it would be unheard of that someone gains access to an uninventorised archive! Even for me as an keeper of records it is inpossible! I smell an SKF-article here Jan! ... It is remarkeble that Jan has access to this lot of paper yet. In the Netherlands it would be unheard of that someone gains access to an uninventorised archive! Even for me as an keeper of records it is inpossible! It's a St George Cross 3rd class and yes a long surviving soldier as he did get the knights of the 3 national orders with swords, and the officer L" with swords..
and back for your pictures!! Do you have more? Or have you already posted your collection? I'm working on getting these pictures, but I'll need some time. Miniatures of awards of Cl?ment RANSY .